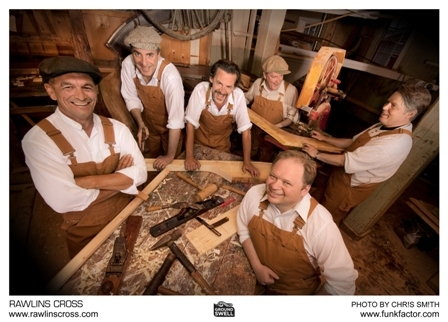 Rawlins Cross are on tour this summer celebrating the release of their latest CD and they are coming to King's Theatre in Annapolis Royal on Friday, August 12th. It is sure to be a sold out show so we have reserved a number of seats for the show which we are packaging with a selection of rooms that we still have available. This package includes 1 nights accommodations at the award winning Hillsdale House Inn with full hot breakfast, plus 2 tickets to the Rawlins Cross performance at King's Theatre. Package price is from $169.00 plus tax, and you can add a 2nd night for just $109.00 plus tax including breakfast. Don't miss this opportunity to see great talent in an intimate theatre setting! If unfortunately you are not able to take advantage of this offer yourself, please share it with your friends or anyone else you think might be interested. For more information or to reserve, email reservations@hillsdalehouseinn.ca or call 902-532-2345 or 1-877-839-2821.